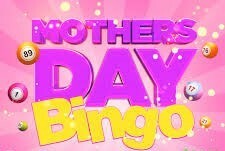 Come join us for our Mothers Day Bingo Celebration! We thank our community for all the support and donations throughout the year. All proceeds go directly to NAMI Temecula Valley free classes and programs. By popular demand we have brought back our BINGO fundraiser. We look forward to seeing everyone and having some fun! For membership, please visit our Donations Page. For volunteer oportunities for this event, please email namitvcalendar@gmail.com. Seats available for participants only. No small children or non-playing guests. Thank you for your cooperation.